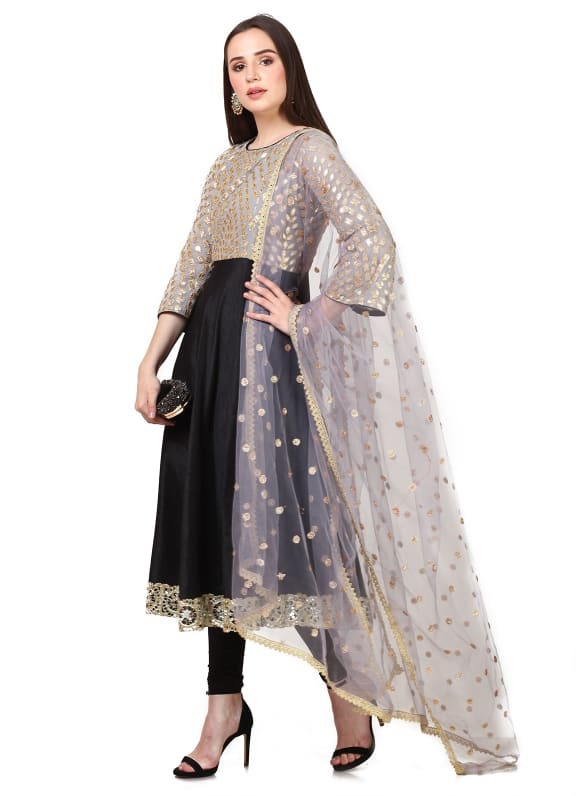 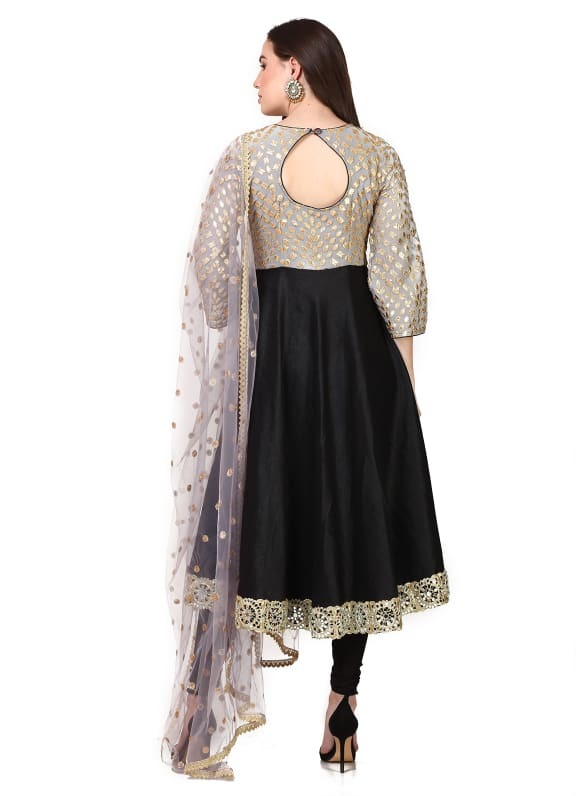 This set features a black anarkali in georgette and dupion base with embroidery. 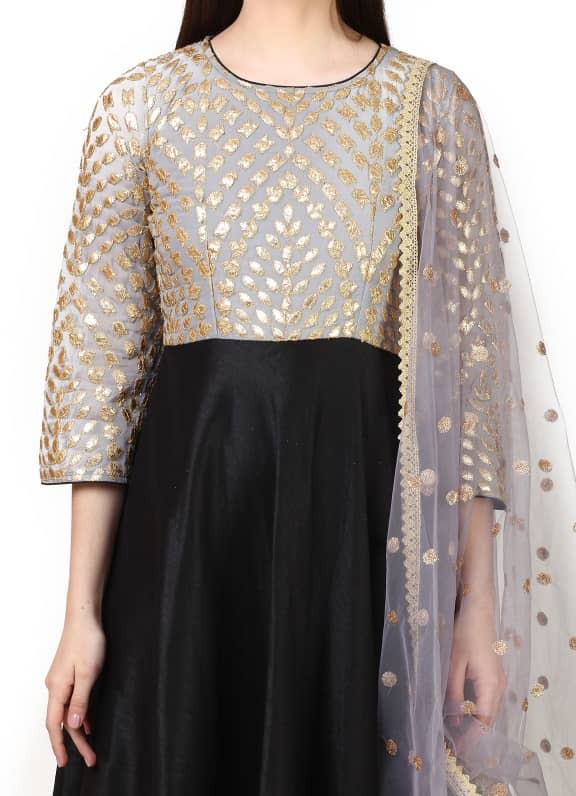 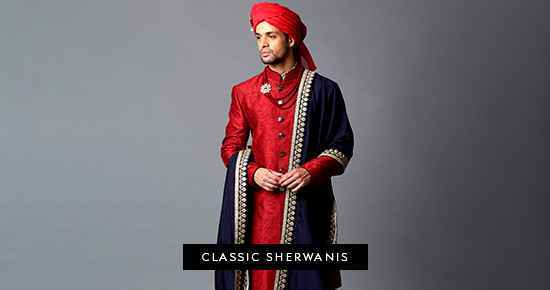 It is paired with a matching lycra churidar and grey net dupatta. 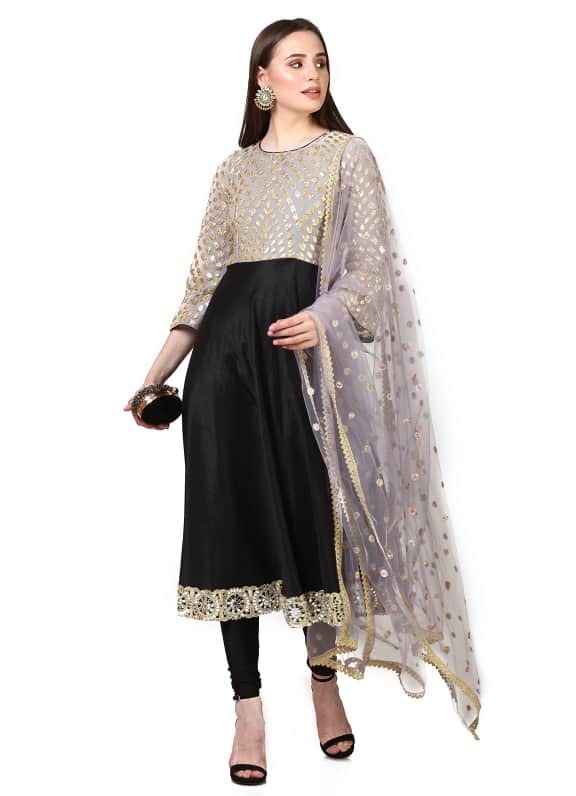 Wear this no brainer anarkali set for your next festive evening and style your look with Amethyst earrings and an Alana clutch.